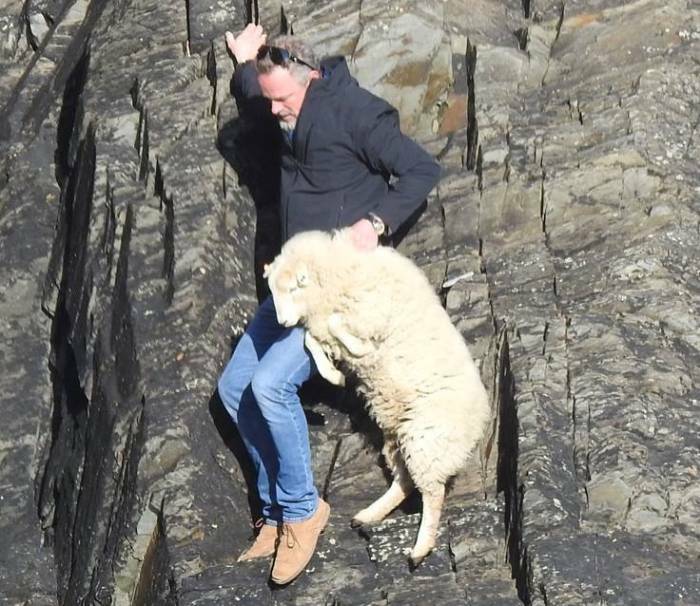 A walker has taken an unusual photograph showing a member of the public braving steep cliff edges as he tries to rescue a stranded sheep. The unknown man was photographed by Andrea Williams, who walked passed the cliff edges which stretch from Porthgain to Aberiddy, in Pembrokeshire. She told a Facebook group devoted to the Welsh county: “We were spectators to an amazing act of human kindness today. She said that once released, the sheep just 'trotted off': “The sheep I think was thankful... Well done that man!” she said. The picture has gained over 1,600 likes and 200 shares, with people praising the man for attempting the daring rescue. However, the RSPCA issued a warning over the public attempting to rescue animals in dangerous situations. 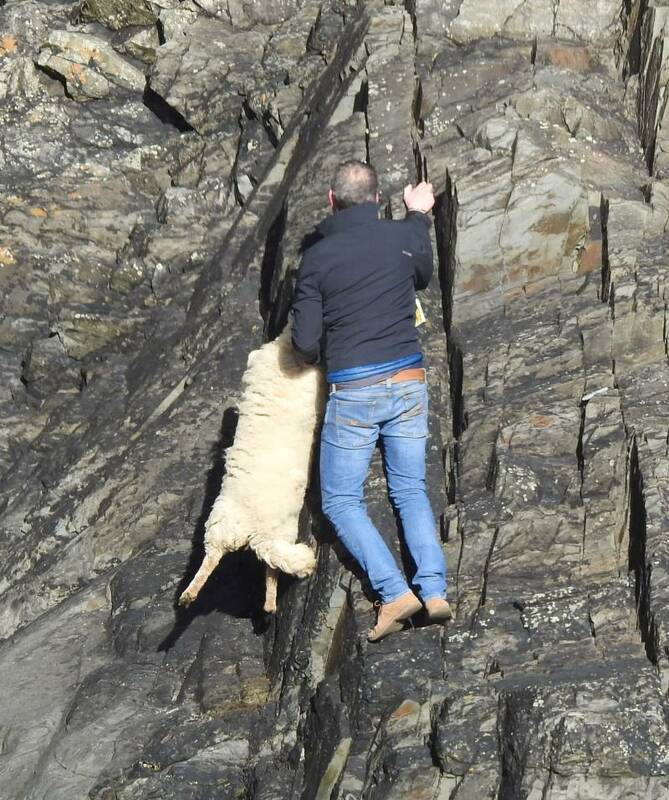 It comes just days after rescuers completed the 'most technical rescue' they have ever faced after saving 65 sheep from sea cliffs in the same county.